OMG watching the Anrealage show you’d never get it…but reviewing the pictures later on it becomes as clear as mud! The same dress walking down the runway twice! What were they thinking? 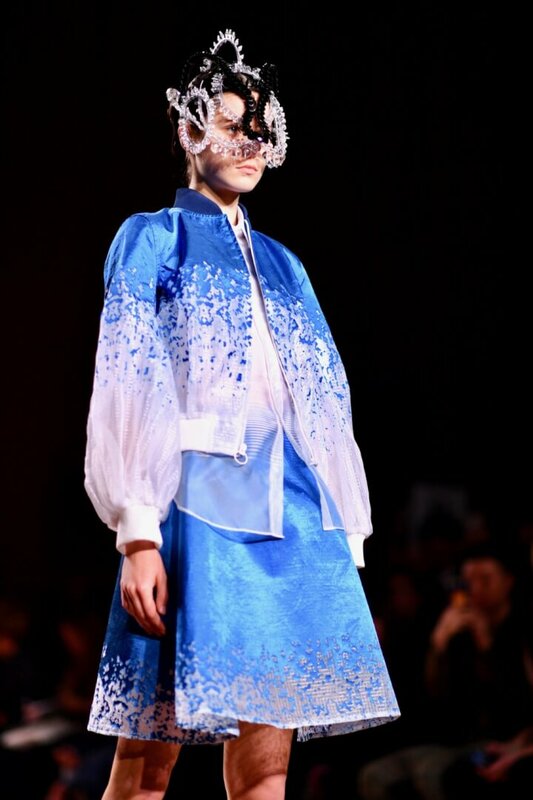 This collection was largely about futuristic technology. 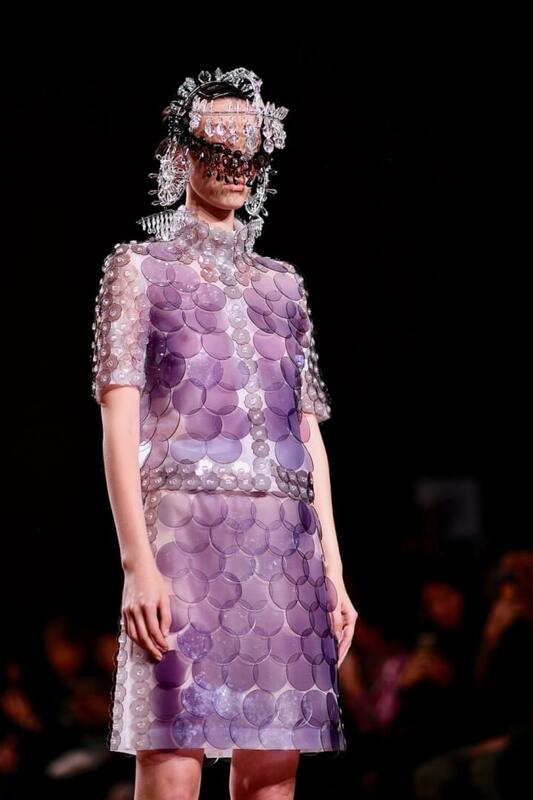 The designer Kunihiko Morinaga deliberately used a photochromic material that darkens when exposed to UV light. The first seven looks appeared in a muddy purple shade, but black in real life. Later the same clothes came out with the colour totally faded (as seen in picture above). See the difference. How did they do it? simple really – by shining UV-light emitting torches onto the clothes, transforming them from transparent to black. 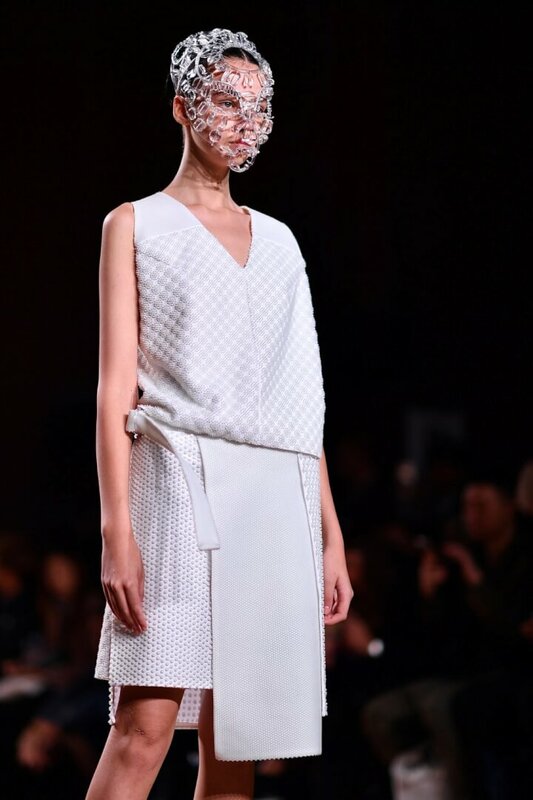 In-between the replicated black and clear looks we also saw some delicately put together outfits. The most stunning fabrics, mixing sheer with satin. 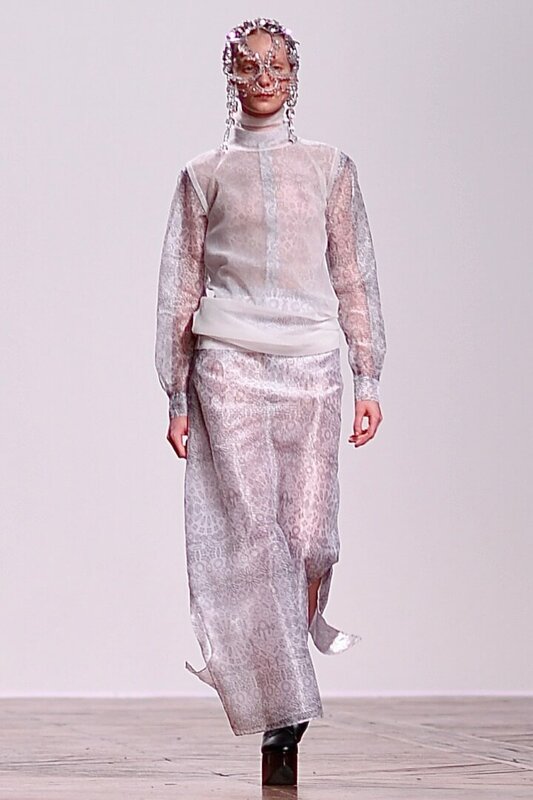 Each garment was hand produced with a-lot of attention given to using futuristic and chemical materials. Imagine each of the beaded looks has more than 5’000 parts. 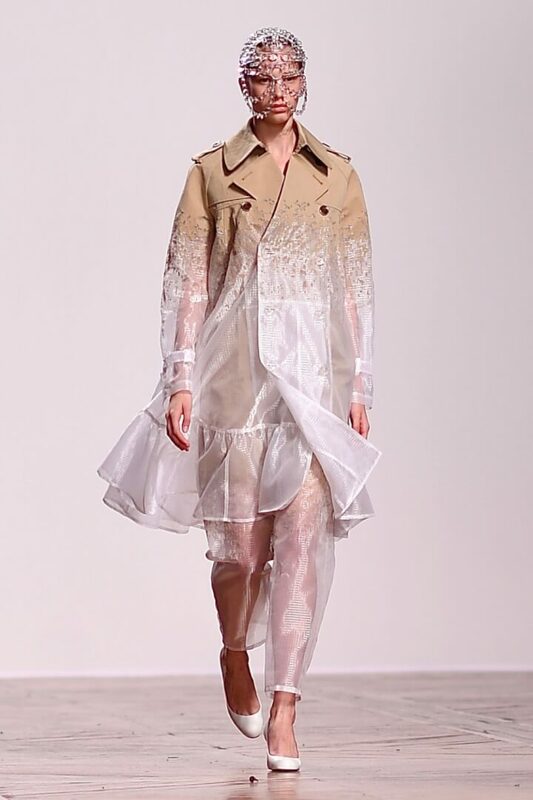 Keep scrolling to see some of the best of Spring 2019 Paris Fashion Week Runway – Anrealage for yourself! With Love from Paris Fashion Week! « Ironing Made Easy – Even My Husband Likes It! Who knows – that is a really interesting thought. Thank you for the lovely comment dear! Creative genius really ; It’s very artistic meets fashion ! Love it Yvonne ! Thanks dear Sue, so glad you enjoyed the post. It was such an inspiring show.